For those who don't have Mansion & Garden Stuff, I rebuilt both houses without it - they are in the comments. 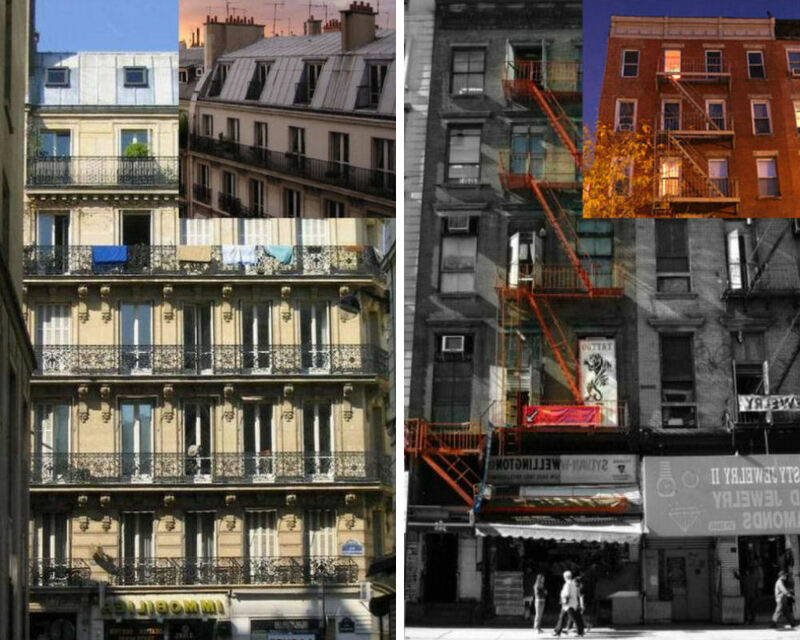 Although the Paris and New York looks are based on pictures of real apartments (see below), I didn’t have any actual floor plans. 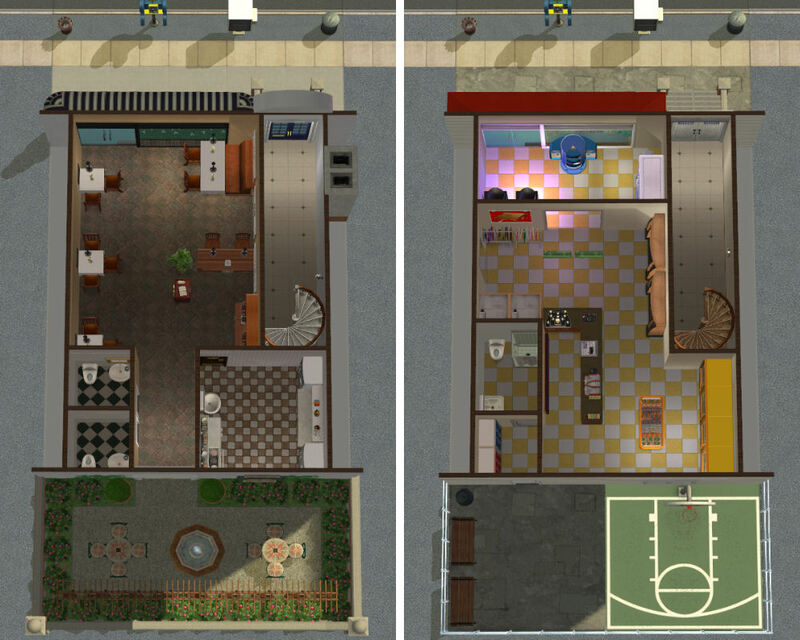 Hope I didn’t make too many obvious mistakes trying to replicate the real ones without complete floor plans. 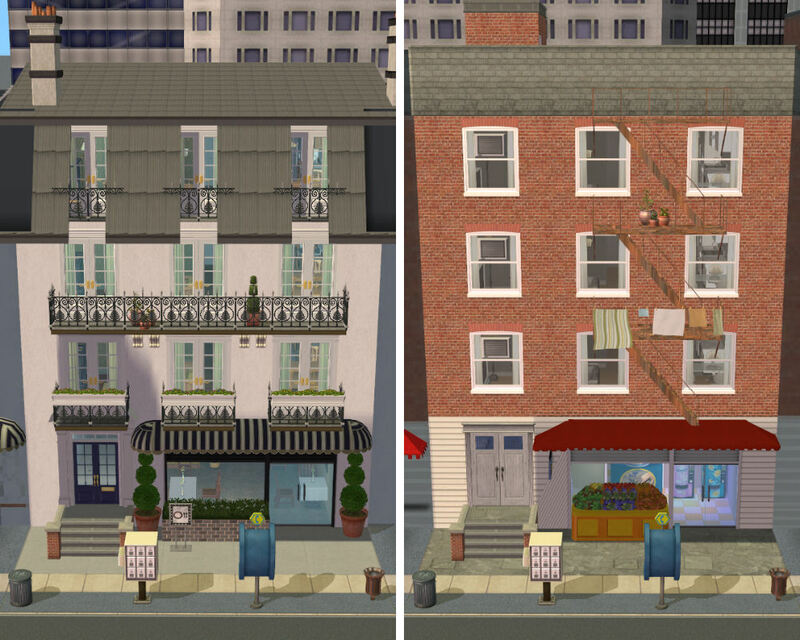 There are four livable floors (and also some free space on roof floor for the New York version); on the first floor is a restaurant for Paris version and a shop for New York version. Three other floors are occupied by apartments. 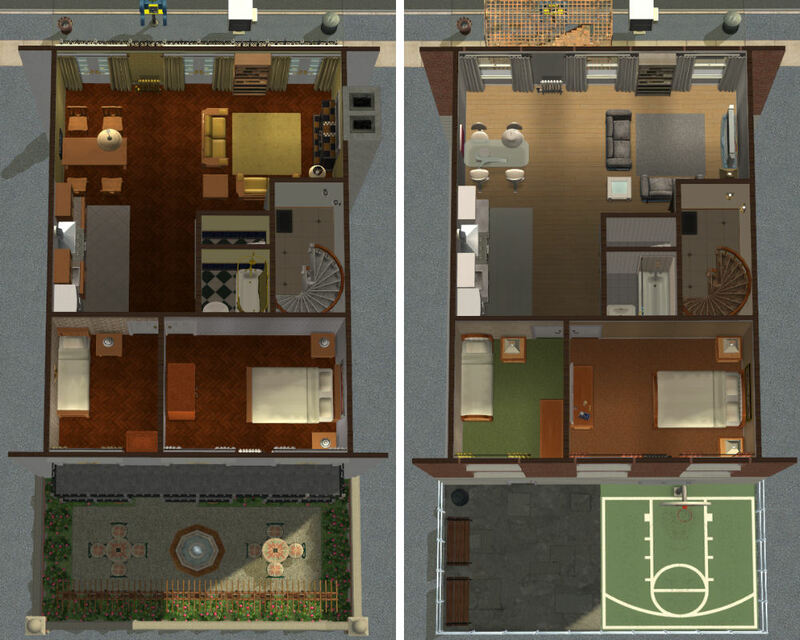 Apartments are pretty small; they are made for 4 sims to live in the first one, 3 sims in the second and 2 sims in the third. 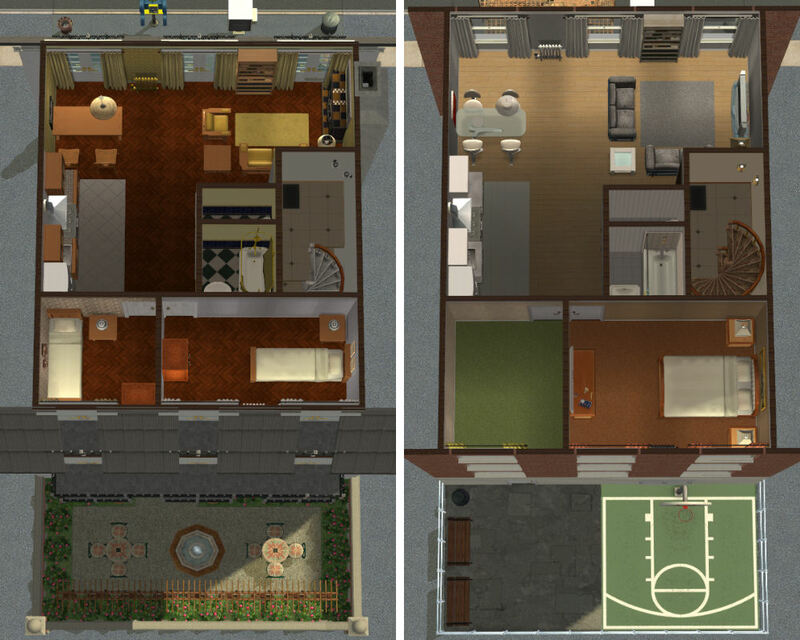 Each apartment has an open kitchen/ dining/ living area, a toilet, a bathroom, a master bedroom and one more room, which can be another bedroom or study. I couldn’t manage to find a good place for a desk in each apartment, but instead of it sims can use the dining table (for example to do homework or to place a computer – wonderful laptop for this purpose here). *CTRL-SHIFT-C to bring up the cheat box. 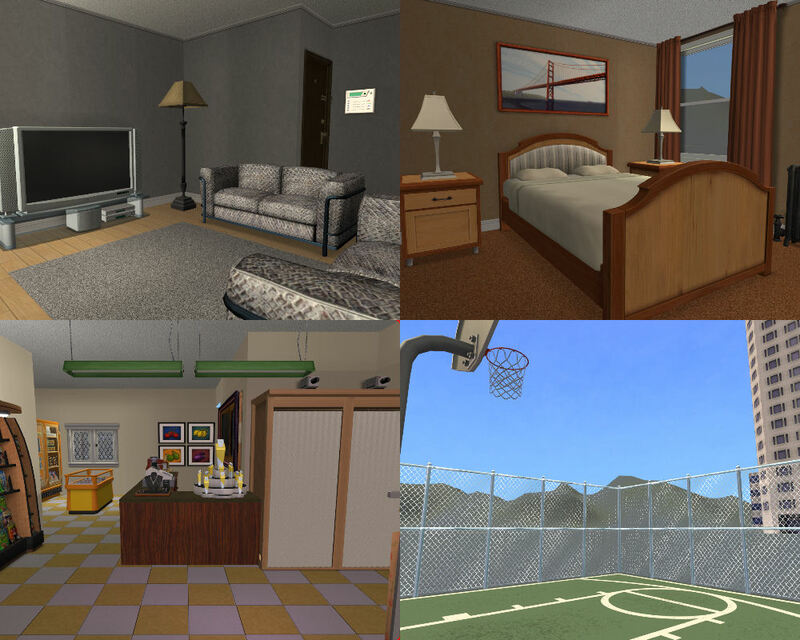 *Walk your sim to the front door of the apartment that you want to rent. They need to be standing right in front of the door. *Clear any actions from your sim's queue - including other sims trying to talk to them. *SHIFT-click on the door of the apartment you wish to rent and choose "Rent Furnished." *If the action falls out of your queue, your sim probably needs to be closer to the door. *Once the apartment is rented, bring up the cheat box again. *Enter: boolProp testingCheatsEnabled false to turn the cheat off again. 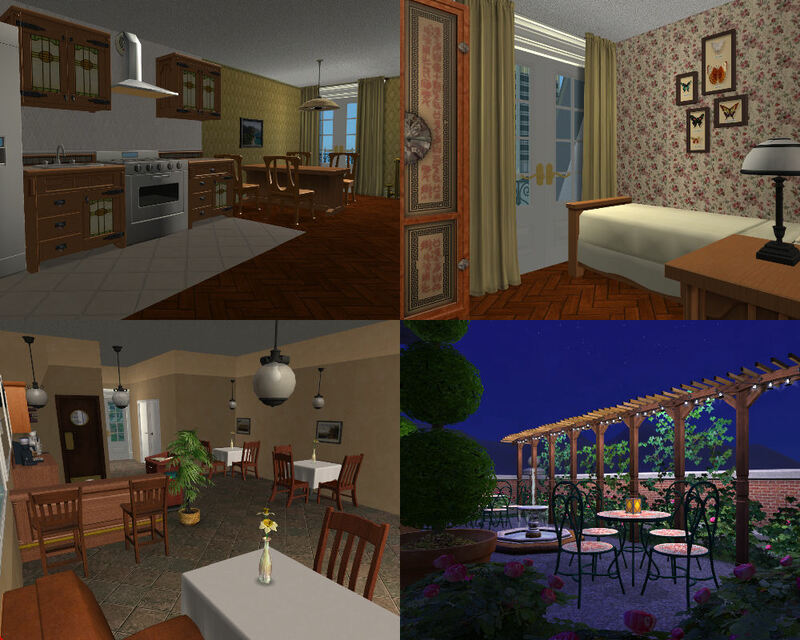 Master files, diagonals for curtains, windows and doors – for all are the same credits as below - and 3 Maxis recolours by me for the Paris version are included in the rar archives. Place them in your Downloads folder before installing a lot. *Report if something is wrong because I did tested carefully but I think I’m still not completely advanced with apartments and mods. If you like my lot, please hit the thanks button. To MogHughson for her mod, which inspired me to make this lot at last. To Mootilda for LotAdjuster and GridAdjuster (I used it to make the awnings in the height I need) - great tools! To AnyGameStarter which I didn’t use at the end but which is a simple to use and great tool too. To HystericalParoxysm for the way how to rent furnished apartments. And to mocha0030 for the cool combination of fire escape stairs and laundry custom content in the New York version; if you're looking for other great (and authentic!) 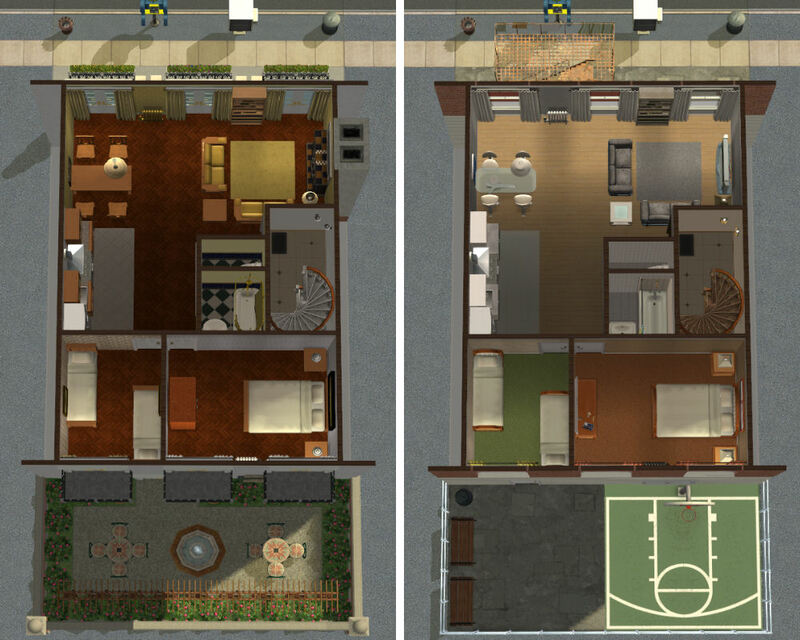 urban lots and apartments - visit her site.